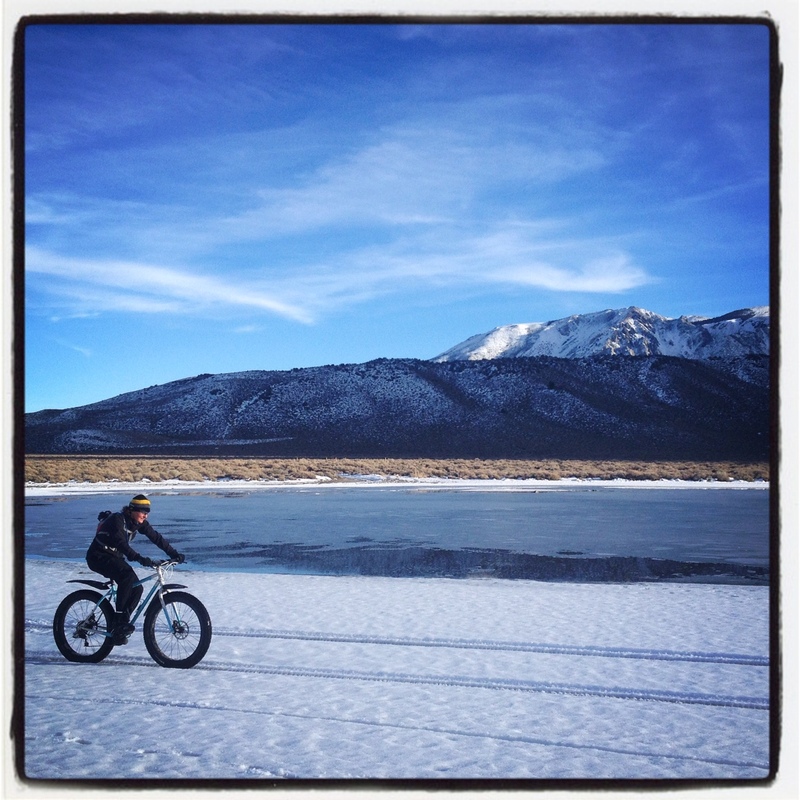 Cruising around the Laurel Settling Ponds is a peaceful ride to do pretty much year round. It’s nice in the Summer on dirt, and it’s usually rideable in the Winter on snow with a fat bike (trucks and snowmobiles tend to pack this area out nicely). The views are spectacular in every direction – Mammoth, The Sherwins, Crowley Lake, The Glass Mountains, etc. and the settling ponds themselves are very scenic. It’s pretty mellow cruising, with hardly any elevation gain. Great to take the dog on a leisurely outing. If you’re looking for more, you can link this the Sherwin Creek/Mammoth Creek Rd. ride. There’s also ample opportunity to explore the many forest service roads in this area, and you can head all the way to Convict Lake. Contact us with any questions about putting a great ride together. Access: From the town of Mammoth Lakes, drive down Highway 203 towards Highway 395. Just before getting on the 395 south, there’s a turnoff on Mammoth Creek Rd. There’s a small parking area here, and oftentimes a Winter closure gate once the snow flies. Park here and start riding south. Turn By Turn Directions (coming soon): – For now, just go out and explore. It’s hard to get lost, as you can always see landmarks and you’re never far from Sherwin Creek Road or Highway 395. 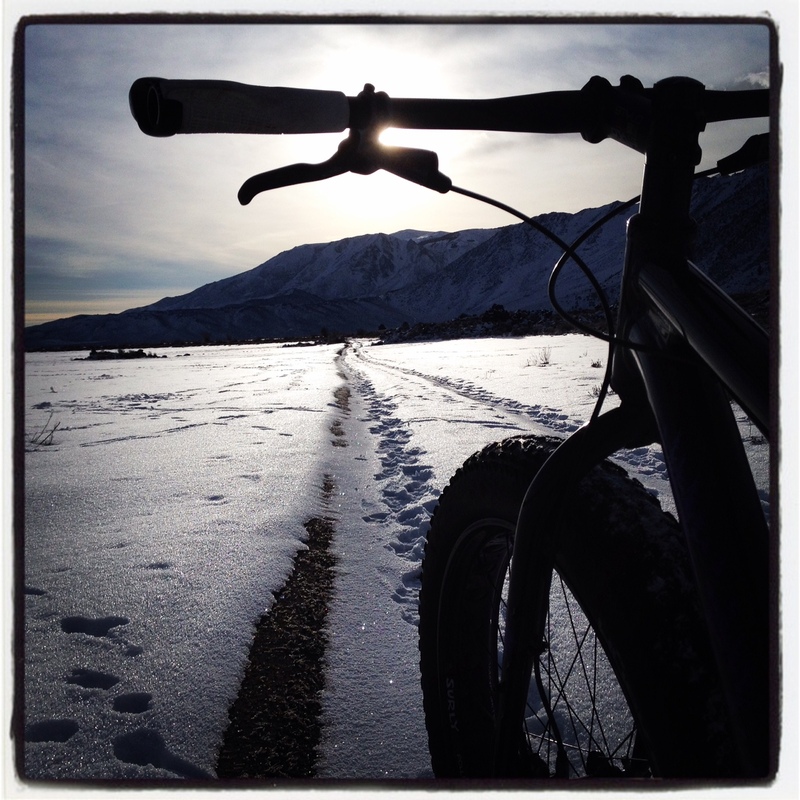 Jen, cruising around the Laurel Settling Ponds on her custom steel 616 fat bike. A quaint little bridge that crosses over Sherwin Creek. 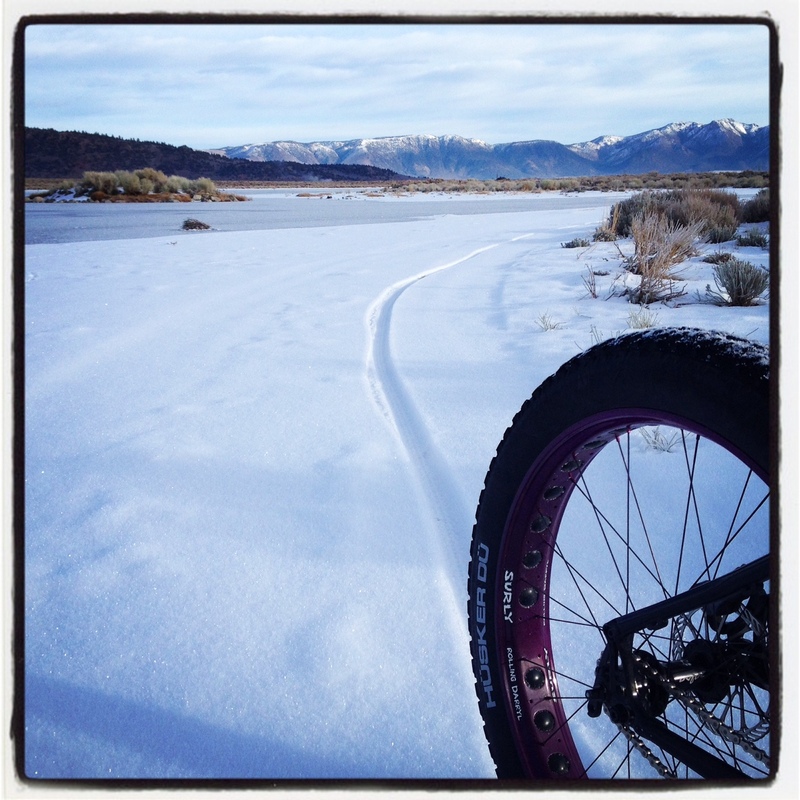 Making some fresh tracks around the settling ponds. The road less traveled – by bike. This is one tough ride. It takes the Sand Canyon Mountain Bike Trail, which is usually an epic shuttle ride, and massages it into one badass mamma jamma loop. Start at Tom’s Place Resort and make the climb up Rock Creek Rd to access Sand Canyon. After descending Sand Canyon you take Forest Road 4S54 to the left to complete the loop back to your car. You’ll be ready for some post-ride beer and grub at the restaurant. They also have great milkshakes. Another great spot for some mid-ride yummies is Pie In The Sky at the Rock Creek Lake Resort. Grab a slice before turning left at Rock Creek Lake and starting your final push up to the Sand Canyon MTB Trail. From the top, it’s pretty much a bomber 4,000′ descent with great views in every direction before some tough and sometimes sandy climbing back to your car. If you’re in the mood to explore and climb even more, you can take the Wheeler Crest Out and Back about 4 miles after you hit the dirt. You can also include the Swall Canyon Trail, Wagon Wheel Trail, and Lower Rock Creek Trail for a custom loop of epic proportions. If you have questions about any of this or tailoring a ride to suit you, send us a note. Note: Much of this ride is very remote. Please be self-sufficient and carry plenty of water and nutrition as well as items to fix your bike in a jam. Weather frequently changes as well, so be ready for anything!! Difficulty: Advanced descending skills and extra lungs required. Some technical/ rock gardens and steep climbing/ hike-a-bike and sandy sections. 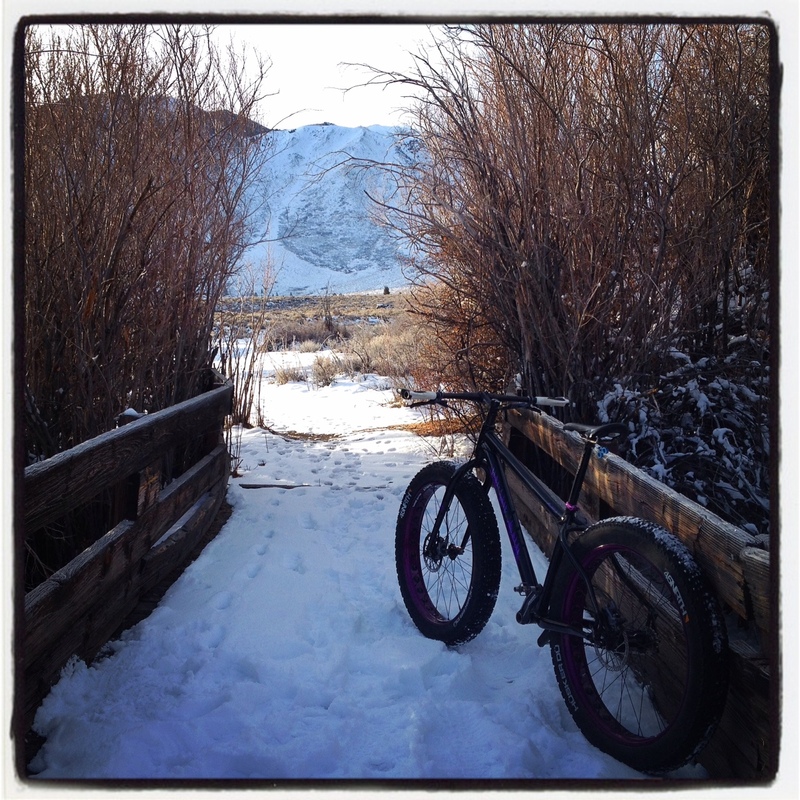 Access: From Mammoth, take Highway 395 south approximately 18 miles and exit at Tom’s Place. Turn right on Crowley Lake Drive and park near Tom’s Place Resort. Save the spots in front for customers that need it. 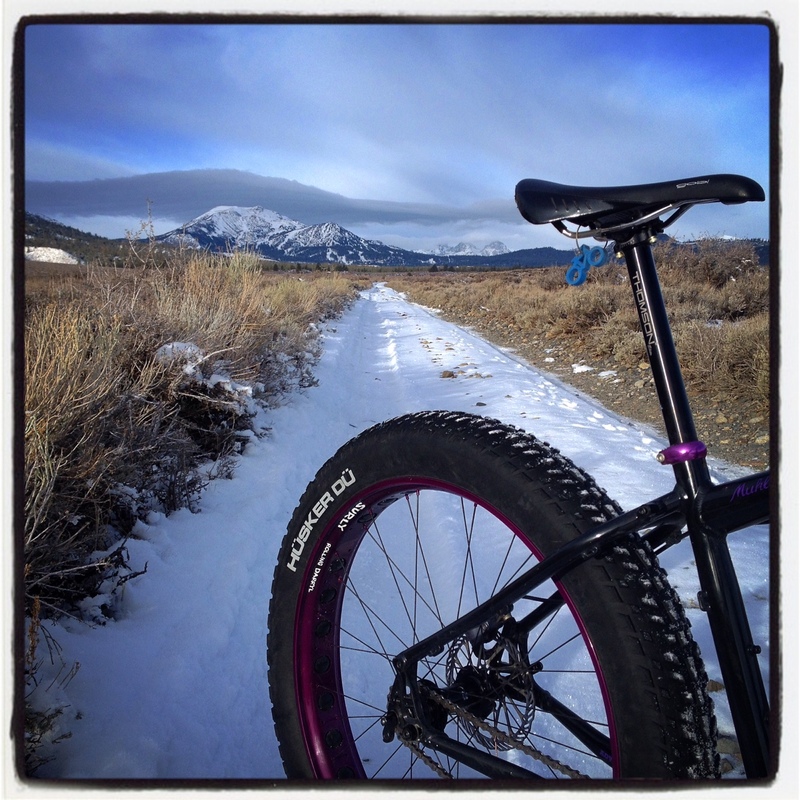 0.0 – Start heading up Rock Creek Road. It’s pavement, but don’t let that fool you. You’ll be gaining around 4,000′ over 9 miles. 8.6 – Pass Rock Creek Lake Resort / Pie in the Sky on the right. 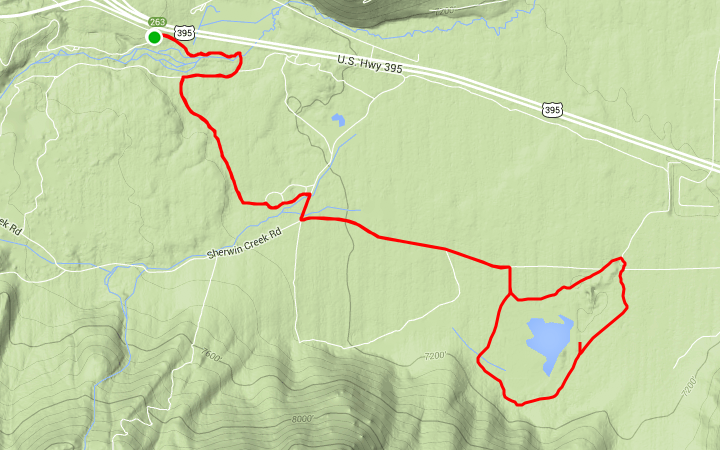 8.7 – Turn left at Rock Creek Lake. Pass the bathrooms and continue towards the back of the lake. 9.1 – Reach the campground host on the right and some camping spots on the left. You’ll see a green gate to your left. This might be a little confusing, but go past the gate and soon you’ll start heading up a dirt road that’s tame at first, then becomes rocky and steep as it passes by some cabins. 9.3 – go left after a group of cabins when the road splits. Then make another quick left and keep climbing. 9.84 – a trail joins in from the left – stay straight and keep climbing. Breathe! 13.2 – you’ll see the turn-off for the Wheeler Crest 4×4 Road to the right. Keep straight, and get ready to climb a bit. 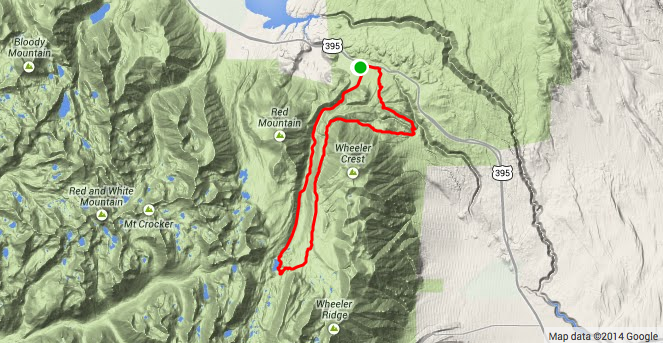 16.1 – stay on the main trail and rip the descent down the canyon – yahoo!! 19.8 – turn left on 4S54. this is a power line road. don’t miss this turn!